2-10-14 – Where Is Everyone? I made a long trek to fish a bay that I have very little experience with. Although it was a Monday, it isn’t everyday on Lake Champlain that you have an entire bay to yourself. At first, I figured there was a reason no one was there but in general I have a hard time believing people who say the fishing is poor. Using Navionics, I made my way along a 5 foot contour punching out to 6 feet and as shallow as 3. I was catching fish right along but very few crappie were in the mix. After working about a half mile, I turned around and paralleled my original line working slightly deeper. 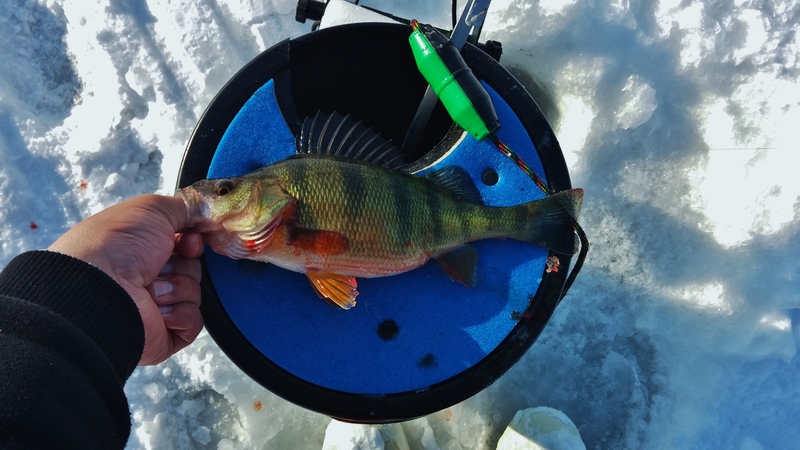 Still not finding much for crappie action, I was content with jumbo perch and plenty of sunnies and bluegills. Halfway back to my car, I got stuck in a whiteout. In a small sandy area with no weeds, I started catching crappie. When the snow let up the crappie shut off. 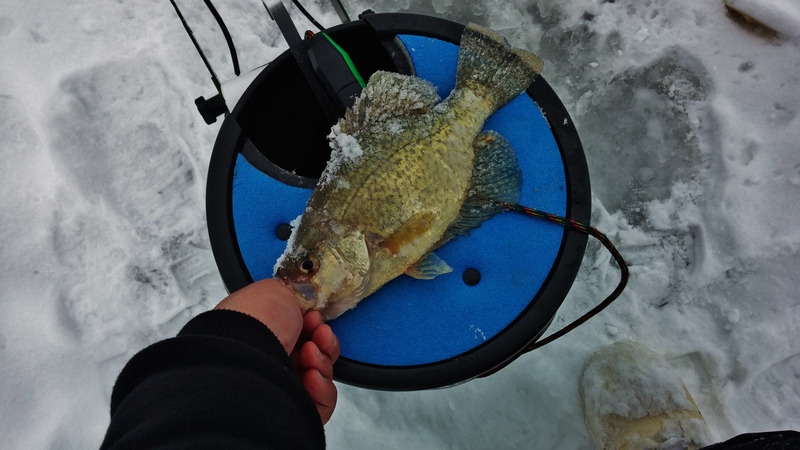 Looking for similar areas, I was able to put 18 crappie on the ice before I left. A successful scouting mission is always a confidence booster. It really is hard to beat Champlain! My weekdays are limited to Mondays, and I’m generally on the ice, just not the same bays as you. I’m out on Mondays and rarely have to compete with people for fish! Great day to be out!